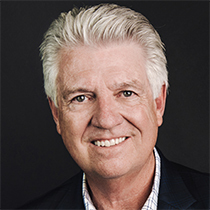 Dr. Jack Graham is the pastor of Prestonwood Baptist Church, one of the nation’s largest, most dynamic congregations. When Dr. Graham came to Prestonwood in 1989, the 8,000-member congregation responded enthusiastically to his straightforward message and powerful preaching style. Now thriving with more than 42,000 members, Prestonwood continues to grow. In 2006, the church began a second location, the North Campus, in a burgeoning area 20 miles north of Plano, and the church also has a flourishing Spanish ministry, Prestonwood en Español. He recently served as Honorary Chairman of the 2015 National Day of Prayer and he has served as President of the Southern Baptist Convention, the largest Protestant denomination in the country with 16 million members. He and his wife, Deb, have three married children and eight grandchildren.